Top: J Crew. Skirt: J Crew. Cardigan: Anthropologie. Shoes: Crown Vintage. Bag: BCBG Max Azria. I got lucky lucky at J Crew last weekend and managed to snag a couple of fun things on sale, so when we decided that this week’s style challenge would be all about polka dots, I knew this skirt would be making it’s debut. I happen to live near a shop that puts out balloons on the sidewalk everyday, so I decided to take advantage of the sidewalk decorations and include them in my photos today. 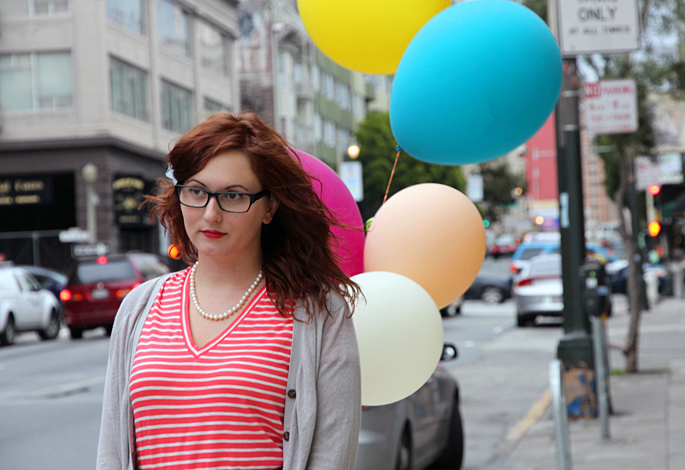 After all, It’s Friday and that sounds like a pretty great excuse for balloons to me. I’ll be heading out on a mini road trip down the coast with Meghan this weekend, and I could not be more excited for some L.A. sunshine and the Lucky FABB conference on Monday! Will I see you there? Be sure to head on over to Meghan, Kellen, and Krystal’s blogs to check out their polka dot ensembles! I love that skirt! And since it’s neutral, I can imagine so many outfit possibilities!! Love how fun and quirky this post is! I am obsessed with this outfit. 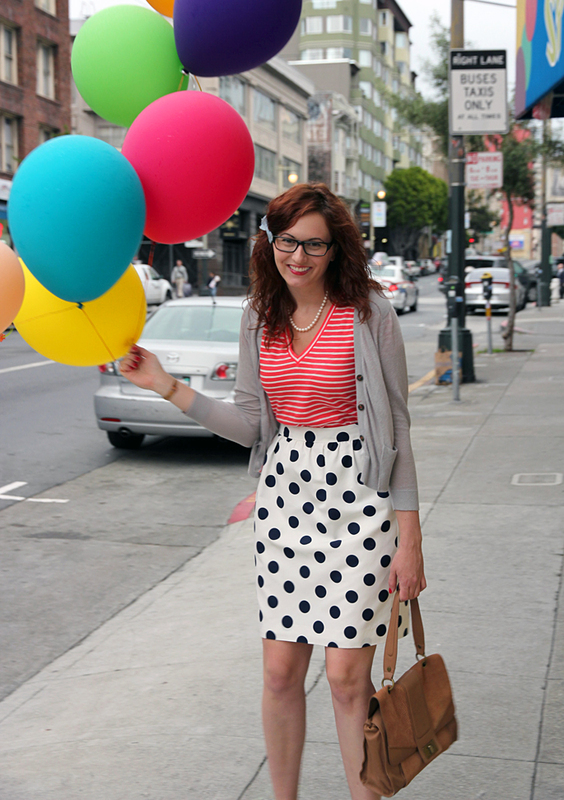 Stripes, Polkadots, and COLOR! Me likey gf!